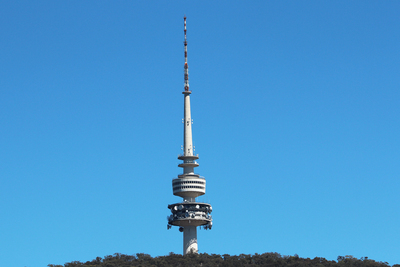 Black Mountain Tower is one of Canberra's most well known attractions. While it's getting on a little bit in age, it still provides fantastic views of the city and it's surrounding suburbs. The tower is 195 meters higher than the summit of Black Mountain, and it provides 360º views of the city. To get to the tower you need to head just outside of the central city area. The drive to the stop starts by the Australian National Botanical Gardens, and it's worth doing both in the same day. The drive is through Australian bushland, and the tower sticks up above the mountain. Take this opportunity to snap a few pictures (as long as you're not the one driving the car. Once you get there, and head up in the elevator, you have a couple of viewing levels to choose from. The first is an enclosed viewing platform. 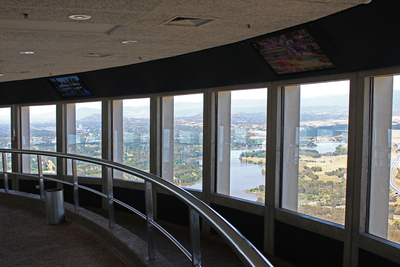 While you don't have the wind blowing in your face, the glass walls allow for uninterrupted 360º views of Canberra. From up above it looks like a tiny toy village. 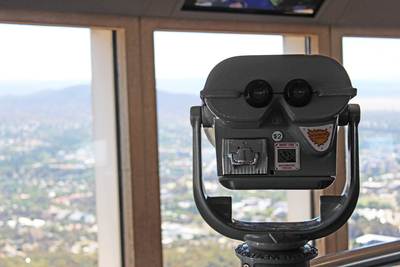 Use the coin-operated binoculars to get a close up look at some of Canberra's attractions, or get a bite to eat at one of the kiosks or cafes. 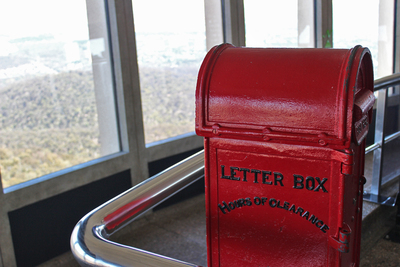 You can even post a letter from the world's highest working postbox. Australia Post come collect the mail every Monday to Friday, and each letter posted has a special 'highest postbox' stamp. Head above this viewing platform, and you'll be greeted with the strong blow of fresh air. The open-air viewing platform is enough to make your heart beat a little bit faster. There may be bars, but you can still see the same views, and with a bit of careful manoeuvring you can get some great pictures without the potential glare of glass. 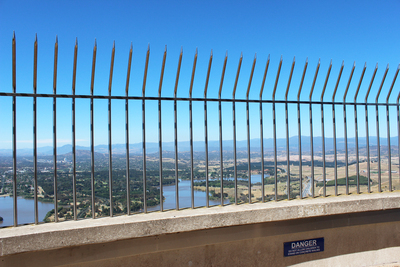 The guard rail is very high, so while some people with a fear of heights might feel a little trepidatious standing near the edge, it's definitely very safe. Black Mountain Tower is getting a little old now. 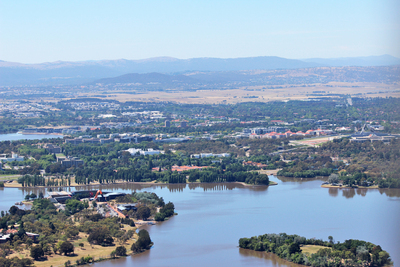 The 360º views are unrivalled, and the museum featuring mobiles from the 80s and 90s is definitely very amusing, but there are still plenty of other places to find a great view of Canberra. It only costs a few dollars to enter, and being so close to the Botanic Gardens it would be a shame to miss it. What's the best kind of family holiday?